When my editor praised the exceptional quality of Logitech’s Ultrathin Keyboard Cover with a near-perfect rating, I wondered how any iPad keyboard cover could top or equal that. Ladies and gentlemen, say hello to The Contender with the funny name: ZAGGkeys PROplus, a keyboard cover equal to Logitech’s in design and typing comfort that goes one step (actually, make that seven steps) further by adding a week’s worth of backlight color options. It comes to us from Zagg, a company that makes screen protectors and all sorts of other inexpensive accessories for tablets and smartphones. 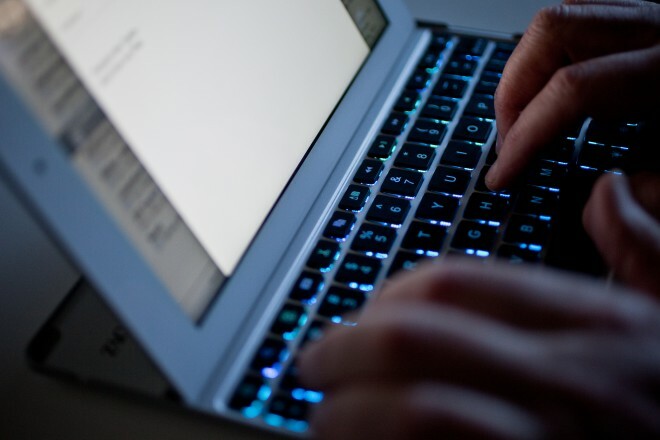 Though at $130, this backlit iPad keyboard falls closer to the pointy end of its product lineup. 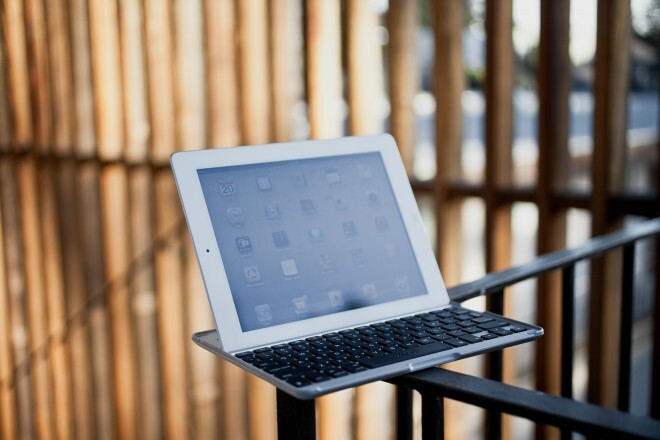 Pair it to your tablet (it’s compatible with iPads 2 to 4) via Bluetooth and, like other keyboard covers, you slot the iPad into the groove just above the keys. Zagg has chosen the familiar island-style (aka chiclet) keys, and I approve of the design. The keys are shaped and spaced in a way that feels balanced on the otherwise compact keyboard. As a finicky touch typist, I felt right at home here, especially since the keys offer a just-right level of travel. Not to be outshined by other models with extra built-in features, Zagg has also added a top row of function keys for cutting and pasting, controlling media playback, and adjusting volume. Where the Escape key normally resides on conventional keyboards, ZAGG places a contextually appropriate embellishment: a Home key that instantly brings users back to the iPad Home screen. 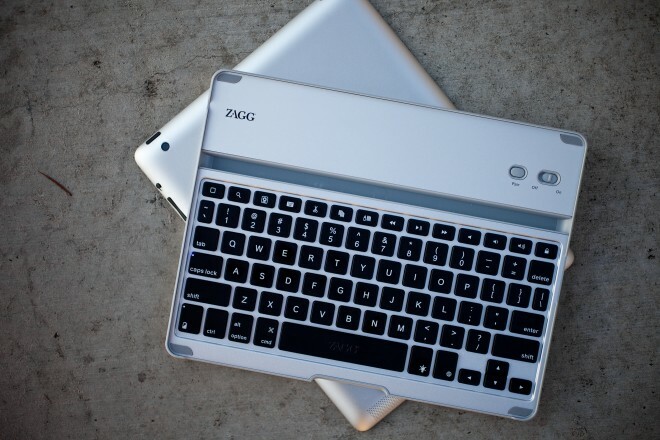 Like other keyboard covers we’ve looked at, Zagg’s aluminum cover, which matches the iPad’s look and thinness, fits perfectly over the tablet’s display and attaches securely with sub-surface magnets. When attached, the cover automatically puts the iPad to sleep. But unlike Logitech’s cover, there are no plastic magnetic hinges, so the cover pops off completely when you open it. And here’s the killer feature. Working in a dark space? 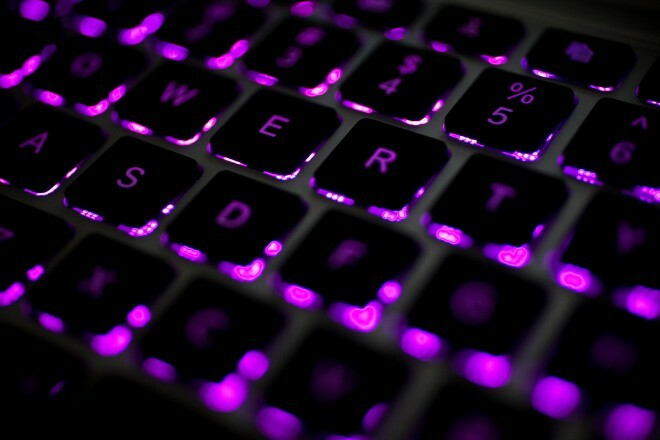 Push the key beside the spacebar to illuminate the keyboard. Keep hitting it, and the Zagg toggles through seven different colors. One color would have been enough. But no, seven — white, yellow, green, cyan, blue, purple, and red. Also, each color has three different levels of brightness, so choose whatever works best for the room you’re in. There is one downside to Zagg’s keyboard cover: It adds nearly an extra pound to the weight of the iPad. The total weight ends up about equal to that of an 11-inch MacBook Air. WIRED A sleek Bluetooth iPad keyboard cover. Island-style keys are a touch typist’s delight. Backlighting offers seven colors to choose from, and three levels of illumination. Fits securely atop the iPad for a uniform look. TIRED Adds nearly a pound to the weight of the iPad. Not cheap — backlighting always comes at a premium, and there’s also a non-backlit model that sells for $100.